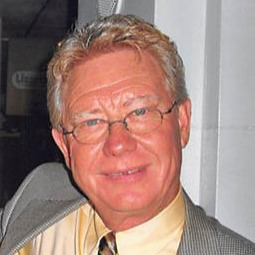 Eugene E. "Gene" Hill, Jr., 71, Kansas City, KS, died Monday, January 28, 2019, at the Garden Terrace of Overland Park. Visitation will begin at 5:00 p.m. with Memorial Services following at 6:00 p.m. on Friday, February 1, at Trinity Community Church, 5010 Parallel Pkwy. Kansas City, KS. Memorial contributions are suggested to: Garden Terrace, 7541 Switzer Rd. Overland Park, KS 66214 or to the Alzheimer's Association 3846 W. 75th St. Prairie Village, KS 66208. Gene was born March 10, 1947, in Kansas City, KS, and had been a lifelong area resident graduating from Washington High School in 1965. He was an avid musician, playing in the Rock and Roll band the Vibrations and other local groups. He was a salesman for Dale Wilch Auto supply store and then had his own parts store before traveling the swap meet circuit with that group. Gene loved skiing in Colorado and boating at Lake of the Ozarks and being surrounded by family and friends and having a good time. Gene was preceded in death by his parents, Eugene Sr. and Edith Hill. He is survived by his wife of 51 years, Ellen, 2 sons, Eric (Rachele) Hill and Casey (Katy) Hill, and 4 grandchildren, Abby, Brady, Jack and Peighton. The family would like to thank the ever faithful staff at Garden Terrace for the care and compassion given to Gene over the last few years. I had thee honor of going to high school with Gene. I had the pleasure of dancing to his music. Rest in peace, Gene in Rock and roll Heaven. I will offer my prayers to Ellen, his sons and all of his family. We are sorry to miss Gene’s service but will be out of state until Monday 2/4. Our prayers are going UP for you and the boys🙏☝🏻. Ellen, Kay and I would like to extend our deepest condolences to you and family upon the passing of Gene. May your hearts and souls find peace and be comforted by the outpouring of love surrounding you. John and Kay C.
Ellen, What a long, long road you and Gene have traveled together...51 years is a wonderful accomplishment. I will always remember Gene's sweet smile and personality...such a super nice guy. We offer our sincere sympathy to you and your family. My sympathy to you, Ellen, and your sons and family. I'll always remember seeing Gene at Westport Marina or waving to you as you went by on the boat. Wonderful memories.